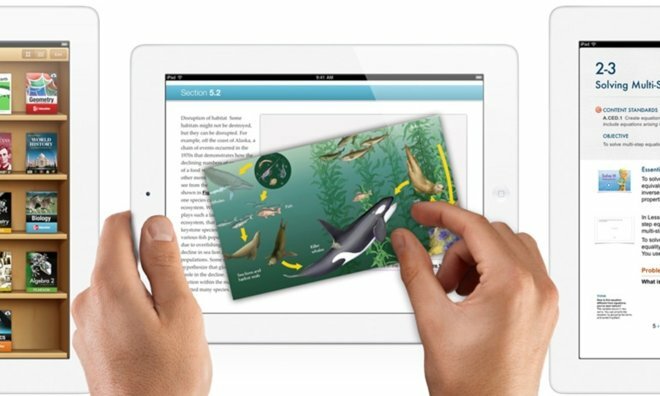 Though the Los Angeles Unified School District's demand for a multi-million dollar refund from Apple has grabbed headlines, the failure of the $1.3 billion program to create a new digital curriculum for Los Angles students appears to lie primarily with educational publishing company Pearson. In addition to threatening litigation against Apple and Pearson— the two primary contractors on the project— the district has also asked for refunds from Chinese PC manufacturer Lenovo and California computer distributor Arey Jones, according to the Los Angeles Times. Pearson's unusable software was cited in those requests as well. In March, project director Bernadette Lucas told LAUSD staff in an internal memorandum that just 2 of 69 schools use Pearson's materials regularly, thanks to technical or other issues. The balance "have given up on attempting regular use of the app," she wrote. Under the terms of Apple's contract with the district, the company was responsible for provisioning one iPad per student with a number of apps, including Pearson's digital curriculum, on board. Pearson acted as a subcontractor for Apple, and was slated to deliver the new curriculum in three phases. According to a Pearson scope-of-work document attached to the project, the curriculum was to be a "unique digital design created expressly to make use of the Apple iPad." Critically— and despite being listed in workflow documents as a prerequisite— Pearson's software was not ready prior to the start of the project. District administrators were only provided with samples. This means that in effect, the district bought iPads to run software that did not yet exist. "I believe that it is time for Pearson to either deliver on its promises immediately or provide us with a refund so that we can purchase curriculum that actually works for our students," board member Monica Ratliff said. Separately, LAUSD counsel indicated that the district is "extremely dissatisfied with the work of Pearson," and is prepared to meet with Apple, Lenovo and others to discuss "the dissociation from Pearson and recoup the costs of Pearson licenses that we paid for but have been unable to use." Apple still bears some blame as the primary contractor for the project, but appears to have handled the hardware rollout well. While the situation remains fluid, it seems unlikely that Apple will contract with Pearson again, regardless of the outcome in Los Angeles.